The sleek Cateck® USB Numeric Keypad is the perfect accessory for your workspace. This keypad was designed with iMacs and MacBooks in mind with its sleek Apple-style curved edge. 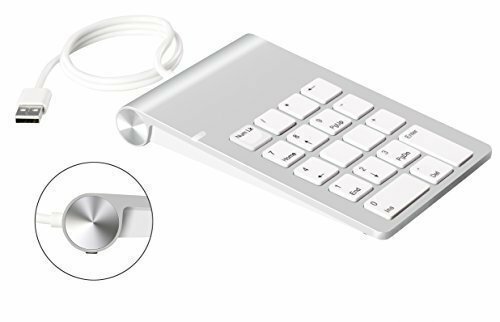 An attractive and functional accessory for any workspace, the Cateck® USB Numeric Keypad Adds a number pad to your existing keyboard a to your PC/ Laptop for quick and comfortable data entry. Simply plug this keypad into an available USB port and it's ready to use. No drivers or other software downloads are required to use this keypad. If you have any questions about this product by Cateck, contact us by completing and submitting the form below. If you are looking for a specif part number, please include it with your message.